Partly cloudy early followed by cloudy skies overnight. Low near 40F. NW winds shifting to ENE at 10 to 15 mph. 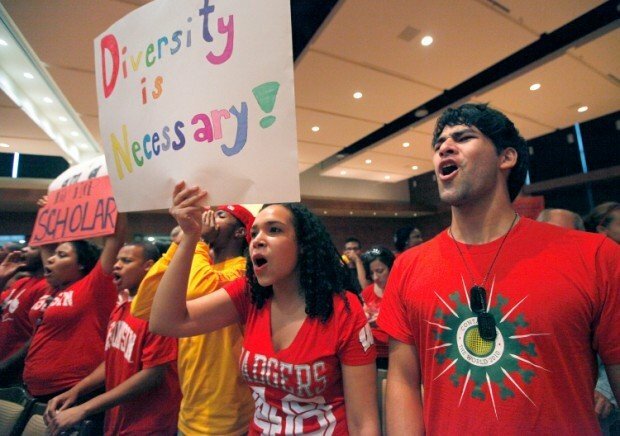 Students at the University of Wisconsin-Madison, including Barbara Gonzalez, left, and William Giles, right, voice their opposition to a report by the Center for Equal Opportunity which alleges the university engages in discriminatory admissions practices during a rally on the campus Tuesday, September 13, 2011. Hundreds of students marched from Bascom Hill to Union South, ahead of a debate appearance by the center's president, Roger Clegg. John Hart - State Journal. Did UW-Madison's diversity chief incite students? Talk show host Bill O'Reilly called him "a loon." The head of a conservative think tank said he fed students propaganda and egged on a student "mob." 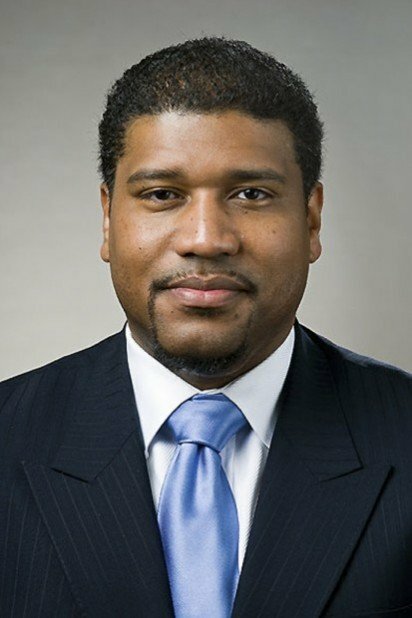 The comments were directed at UW-Madison's chief diversity officer, Damon Williams, who has been at the center of an admissions maelstrom ever since the Virginia-based Center for Equal Opportunity alleged in a report this month that the university gives preferential treatment to black and Hispanic students. Learning a day early that the center planned to release its findings at a Madison news conference, Williams and Dean of Students Lori Berquam convened a meeting of students to discuss "a threat to our diversity efforts." The next day, a group of students disrupted the news conference, forcing the center's president and a former UW-Madison professor to leave the room. The students' actions prompted national media attention and sparked widespread debate on campus, including whether Williams and other officials handled the matter appropriately. He says he did. "In no way did we organize them, in no way did we mobilize them, in no way did we incite them," he said in an interview. "However we did inform them, we did reassure them of their purpose and we did support them." He also said the university's admissions policy is legal and there's a "deep institutional commitment" to it. Williams was hired three years ago as the campus' first full-time chief diversity officer at a salary of $150,000, a job charged with building a diverse and welcoming campus. He grew up in a nearly all-black neighborhood in Dayton, Ohio, where the "educational environment left a lot to be desired," he said. Williams has a close-knit relationship with his family, which includes his first-cousin, musician John Legend. He got a scholarship to attend a boarding school and was one of only eight black students and 11 minorities out of about 350 students, he said. That experience "really helped to shape a value system around wanting to find ways to strengthen the educational experience of diverse students," he said. Williams earned a doctorate from the University of Michigan's Center for the Study of Higher and Post-Secondary Education. At UW-Madison, university administrators have been wrestling with diversity issues for more than two decades. As Williams assumed his new job, the university was winding down Plan 2008, its 10-year outline to boost diversity and improve the success of minority students. UW-Madison has increased graduation rates for African Americans and Hispanics quickly over past couple years, Williams said. About 67 percent of targeted minorities graduated within six years in the most recent year available, compared to 58 percent five years ago. Targeted minorities are African Americans, Native Americans, Hispanics and Southeast Asians. More minorities are attending the school compared to 10 years ago, but they still make up a small portion of the student body. In 2010, there were 3,990 minorities compared to 23,234 white undergraduates. "This is what's surprising to me," said David Ward, interim chancellor who was head of the American Council on Education from 2001-2008. "Our numbers by my standards at ACE, they were not good. We could do better. And here we are being held accountable that we're doing too much, when we ought to be doing actually better in my judgment." No diversity plan has succeeded Plan 2008. Williams said diversity goals are now folded into the university's overall strategic plan. At a Sept. 13 news conference at the DoubleTree Hotel, Center for Equal Opportunity President Roger Clegg accused UW-Madison of committing "severe racial discrimination" against white and Asian students by admitting less qualified black and Hispanic students. The center opposes affirmative action. About 45 minutes into the event, a group of students stormed into the room, chanting loudly and forcing Clegg to leave. Their actions raised questions about whether they were encouraged to act by Williams and other officials. Ann Althouse, a UW-Madison law professor and conservative blogger, said it appeared that the students were trying to intimidate Clegg. "If we care about diversity we ought to be able to talk with each other, not be afraid of each other, get mad at each other, or have the sense that the other side is somehow evil," Althouse said in an interview. "I think that's ridiculous." Donald Downs, a UW-Madison political science professor and expert on free speech, wrote in the Badger Herald that while some protesters were respectful, those who disrupted Clegg "crossed an important line." Three hotel employee reported minor injuries to police. "Such conduct is not the kind of counter-speech countenanced and protected by the First Amendment - to say nothing about appropriate behavior," he wrote. He noted that the hotel is private property and owners have a right to control access within legal limits. The behavior of about 900 students who attended a debate on the issue later that evening was widely praised. Williams said he called the meeting the night before the news conference because university officials wanted "to let students know that in the midst of folks saying ‘you don't matter,' we think you matter greatly." But he also said he and other officials encouraged students to attend class. Because he was inside the press conference, Williams said he didn't know that students had forced their way into the hotel. He said he would never encourage students to protest on private property if they were not wanted. "For some to think that what happened was in some way orchestrated or planned, hear me when I say that is not accurate," he said.